In OT2018, we have eight cases scheduled for the Supreme Court. In each Supreme Court Term since 1987, at least one Mayer Brown lawyer has given an argument. Members of Mayer Brown’s Supreme Court & Appellate practice have argued about one appeal per week for the past several years. Members of Mayer Brown’s Supreme Court practice have argued more than 235 cases in the Supreme Court. 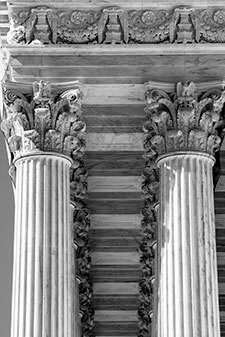 See where Mayer Brown’s appellate lawyers have argued and won some of the most important cases of our time.